Check out our awesome list of festive and merry events for the whole family to enjoy happening in Austin this year! The Blue Genie Art Bazaar is a fixture of the Austin holiday season. All items at the bazaar have been handmade by local and regional artists that are selected through a rigorous jury process. The bazaar features the work of more than 200 artists that offer a wide variety of imaginative and beautiful gifts. The Tree Lighting and Santa's Workshop will feature live music, carriage rides, games & prizes, inflatables, photos with Santa (bring your own camera), and arts & crafts projects. Admission is free. Enjoy music from Austin favorites like Riders Against the Storm, Jane Ellen Bryant, Charlie Faye and the Fayettes, Gina Chavez, DJ Hexum and more. Plus, shop at a special night market brought to you by Sustainable Food Center, watch live dance performances, and take photos with Santa. A Christmas Affair is the largest fundraiser for The Junior League of Austin, an organization of women committed to promoting voluntarism, developing the potential of women, and improving the community through the effective action and leadership of trained volunteers. Just for Children with Special Needs.  Reserve your spot for a private photo experience today. 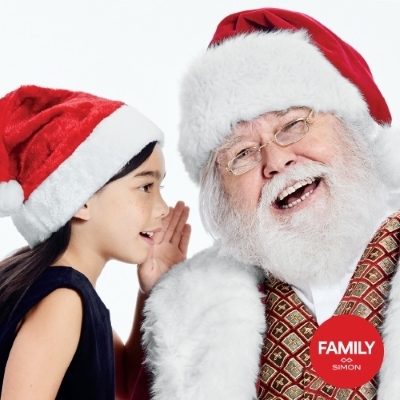 Caring Santa will be waiting at JC Penny East Court. 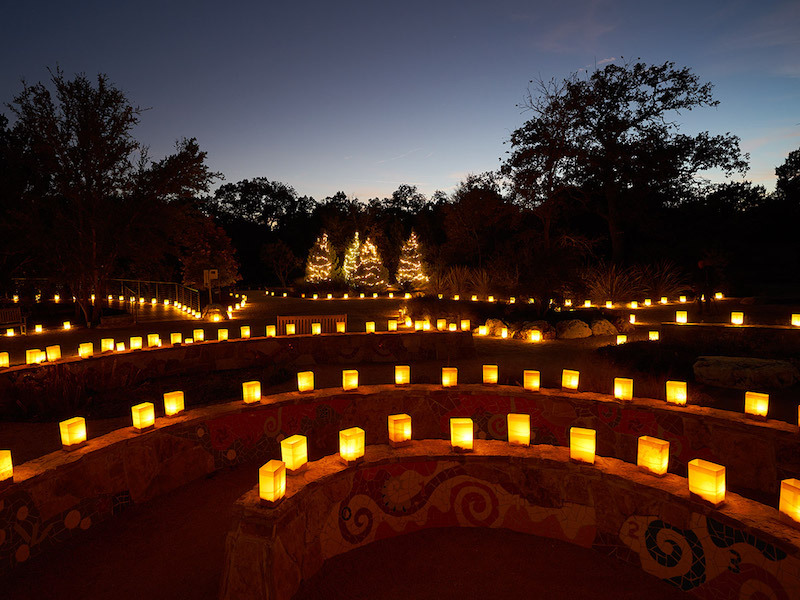 Walk along the paths and gardens with thousands of luminarias and other beautiful light displays. Enjoy free taffy and hot chocolate in our enchanted courtyard. Delicious holiday foods and festive beverages, fun activities and live music make this one of Austin’s most memorable holiday traditions! 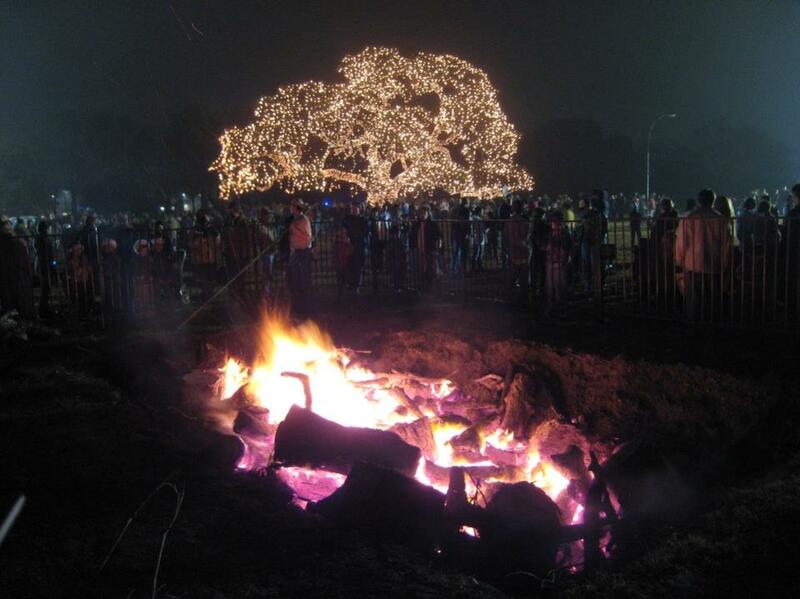 Austin's favorite way to celebrate the season returns for its 56th year! Ballet Austin’s annual production of The Nutcracker never disappoints, with hundreds of dancers, beautiful sets and costumes, and Tchaikovsky’s delicious score performed live by the Austin Symphony Orchestra. From a festive holiday party to an exotic court of sweets, watch as our young heroine, Clara, faces her fears, rescues her prince, and dreams big during the journey of a lifetime! Make memories to last a lifetime when you share this special holiday tradition with family and friends! Since it began in 1965 as a small gathering, the Trail of Lights has grown into one of Austin's three largest events, attracting more than 400,000 people every year. The annual tradition continues to grow, celebrating the unique character Austin is recognized for across the country. 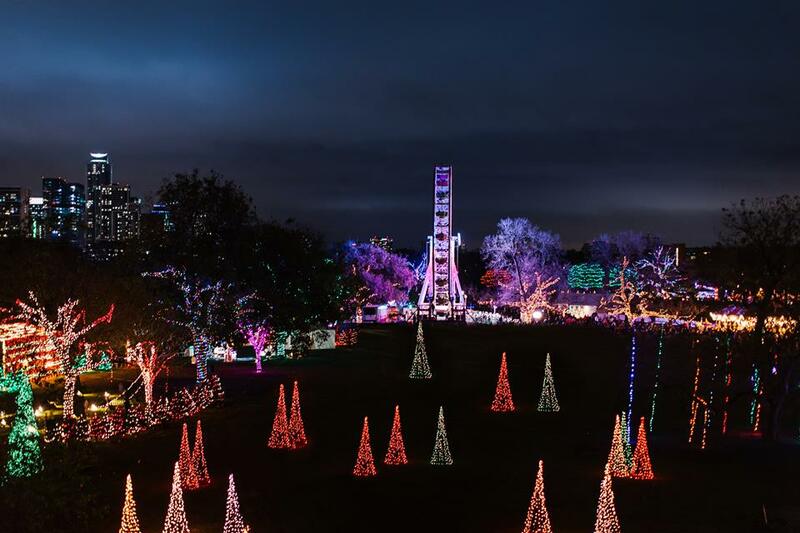 Every holiday season, Zilker Park is transformed into the Trail of Lights with over two million lights, 40 displays, 20+ food trucks, two stages, 30 private holiday parties and interactive experiences throughout the trail. The show is actually two events in one: an art fair and music festival with a vibrant community-driven vibe. Visitors can explore an amazing array of handmade items from 160+ artists while enjoying live local music and sips from a full bar. Free photo with Santa! Presented by The George Washington Carver Ambassadors and The George Washington Carver Museum Cultural and Genealogy Center. The most popular show in ZACH's history returns to rock in the holidays! 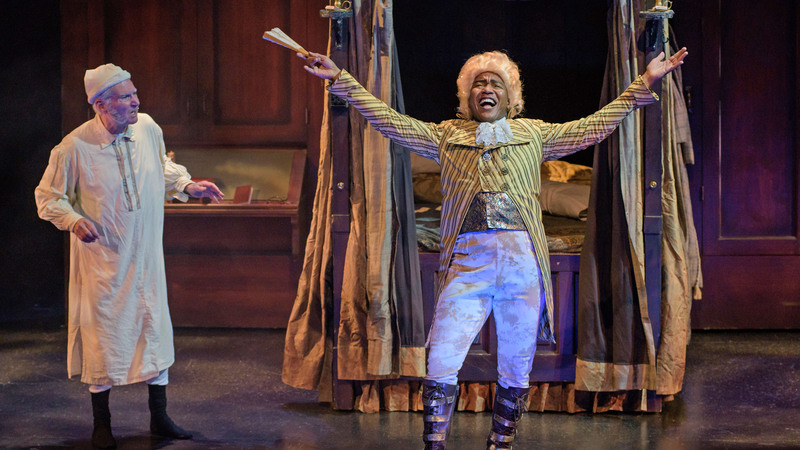 ZACH's fresh take on A Christmas Carol features three soulful Ghosts making a joyful noise, while moving our hearts with the Cratchit family's love and Ebenezer Scrooge's miraculous transformation. New hit songs and reimagined carols create an infectious spirit that has you dancing in the aisles. 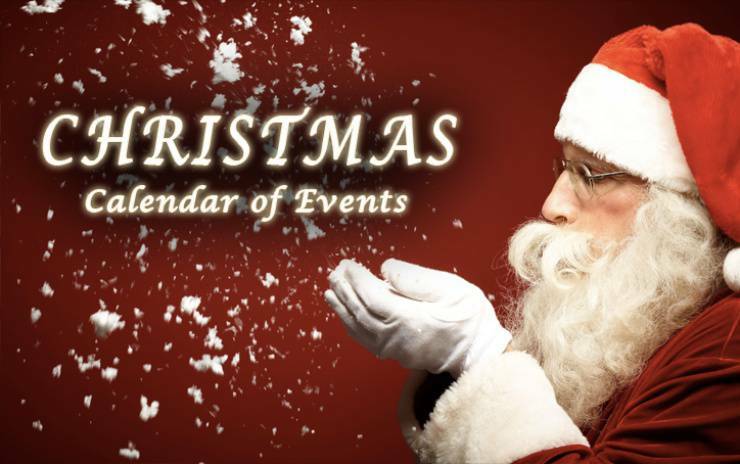 For even more Christmas Events, visit our complete event listings on ChatterBlock. 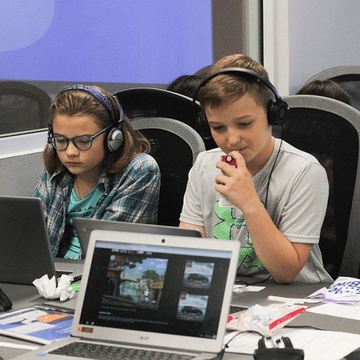 The best of Austin, straight to your inbox.